Parc Phoenix is a godsend for families, particularly with young children. Parking is easy (and free for 2 hours), the entrance fee cheap (€5pp, and free for < 12yrs) and once inside, your little ones’ boundless energy can be safely unleashed. It will be several hours before boredom sets in. There’s a playground, small petting zoo, aquarium as well as the famous Diamant Vert pyramid. It is home to some of the largest botanical gardens in Europe, an array of birds from around the world, centuries old fauna and some adorable – and not so adorable – animals and wildlife. The pyramid tropical greenhouse is home to a respectable aquarium and terrarium of insect and arachnids. 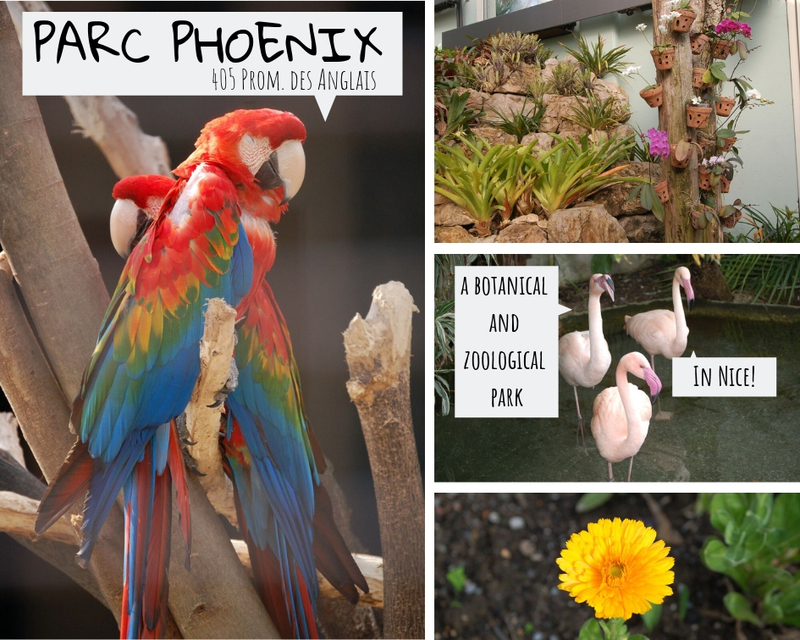 There are pink flamingos and koi carp fish as well as giant tortoises and all manner of evergreens, small huts and walkways. The park itself is a couple of acres of green lawn, and visitors’ picnic and play in clusters all over it. There’s a snack bar with tables and chairs and toilets. On the other side of the park there are paths and small exhibitions, sculptures, an owl sanctuary, an aviary of rainbow hued parrots and a large children’s play area with the usual climbing toys and apparatus. You can discover more about their current expositions and when they are holding special events on their website page. We love this place for its authenticity, natural beauty and convenience. Being located just to the west of Nice, right by the airport, it is easily accessible from Nice Centre by a range of public transport methods: Bus line 9/10 or line 23 both get you close by to the park, just hop off at Arénas or La Vallière, respectively for each bus.